How to use Webcam Morpher in Tokbox? 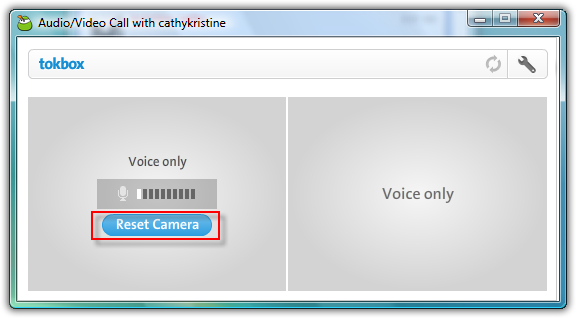 In this tutorial, we demonstrate how to use Webcam Morpher 2.0 with Digsby. One combined buddy list for all your AIM, MSN, Yahoo, ICQ, Google Talk, Jabber, and Facebook Chat Accounts. Start Webcam Morpher, and choose a nickface from the Nickfaces list. - Log on to Digsby. 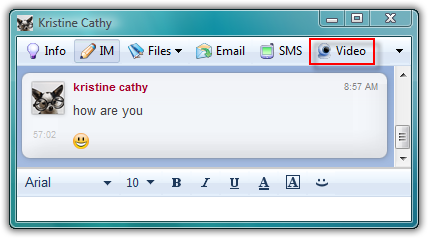 - In a message window, click the Video button. 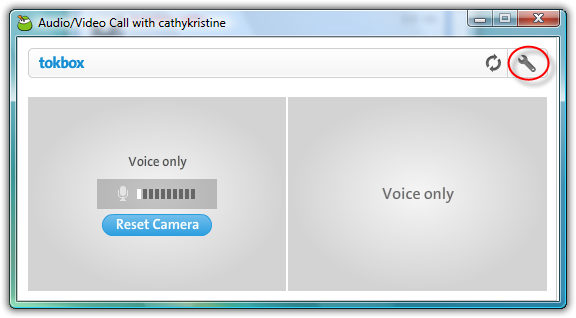 - The Audio/Video Call dialog box will open. 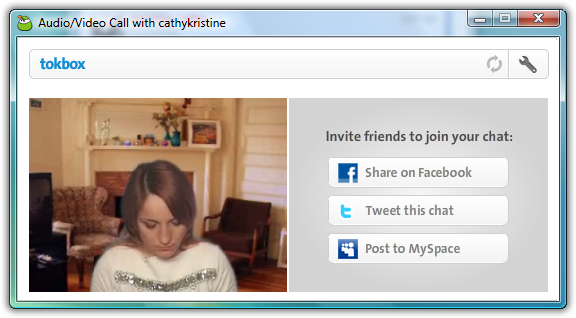 Digsby will automatically recognize and broadcast your webcam video images. 1. Your camera has not been recognized: Click the Reset Camera button to let it reset. Digsby will then run the device checking process again. - Choose the Settings button. 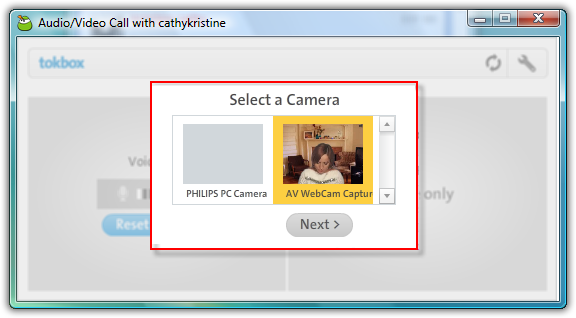 - In the Select a Camera box, choose AV Webcam Capture, click Next. 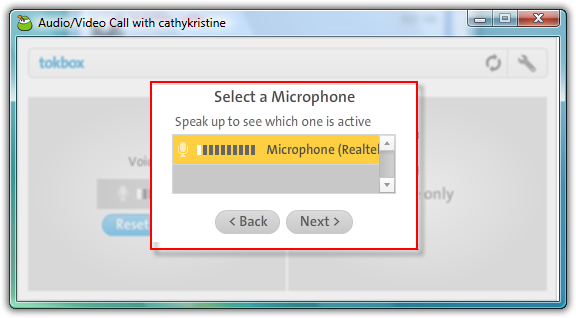 - In the Select a Microphone box, click Next. 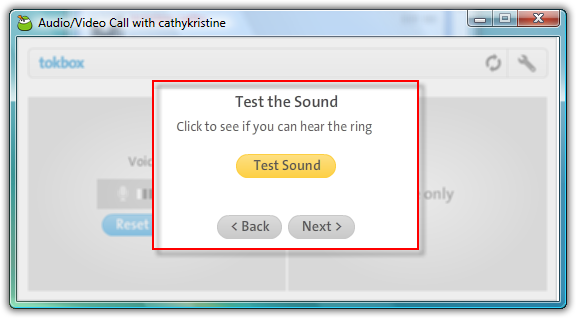 - In the Test the Sound box, click Next. 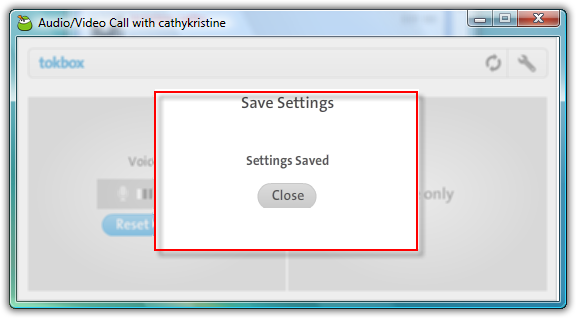 - In the Save Settings box, click Close. Tip: If this step doesn’t help either, please check your camera device again.